2019 is quite the year for Garth Brooks as he kicks off with an acoustic Nashville show, the release of his new album's name, and a stadium tour! Garth Brooks is taking the stage at the 2019 Country Radio Seminar in Nashville, and it won’t be just any Garth Brooks performance. His two appearances will be up close and personal where he’ll have a rare, solo acoustic performance at the city’s Bridgestone Arena. Occurring on Wednesday, February 13th, the one-man show assures all Brooks fans that it will be an intimate yet immense event that may set as a reminder of the Brooks’ 2008-2014 era at the Las Vegas theater, Garth at Wynn. These shows defined the beginning of Brooks’ series of performances that focused on the early Country Music Hall of Fame member’s influences where he embedded stories and acoustic excerpts of popular hits throughout his time on stage to captivate his audiences. There is a tad bit of a catch, however, where the Bridgestone show will only be open to CRS badge holders. Appearances of the country king don’t stop there. Brooks will also be making a debut on Thursday, February 14th, for an exclusive and detailed discussion with the Vice President of Amazon Music, Steve Boom. Even though Brooks was known for steering away from streaming services until 2016, Amazon Music will now be the exclusive digital outlet for Brooks’ musical catalog. This even is scheduled for February 13th to February 15th at Nashville’s Omni Hotel, so be sure to mark your calendars. I mean, what better way to celebrate Valentine’s Day then falling in love with a country star legend? Garth Brooks is not the only big event happening as Country Radio Seminar will also be celebrating their 50th anniversary this year, bringing radio professionals together from around the country. Even more news, Garth Brooks has recently announced the title of his upcoming album, Fun, expected to release in the spring. Still craving more Garth Brooks? 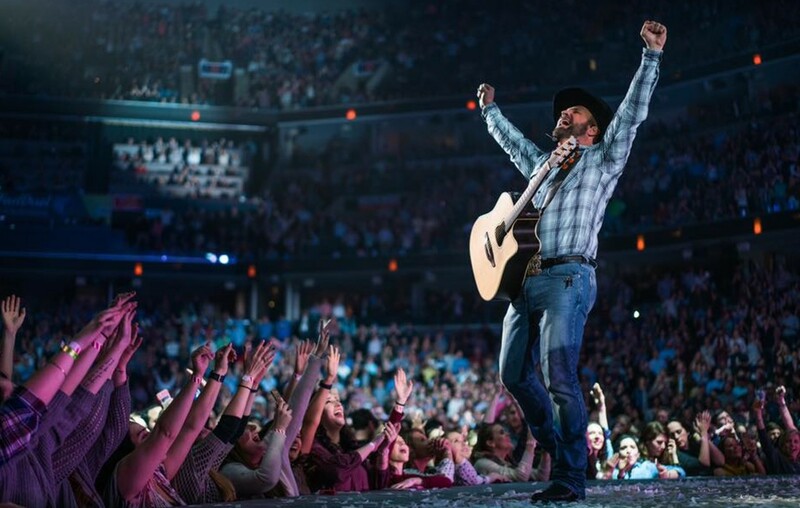 The Garth Brooks Stadium tour will begin on March 9th in St. Louis, Missouri. And I know what you are thinking, “We only get another 4 months of Brooks?” but I guess we’ll take what we can get. At least we can stream his music digitally now. Make sure to share with other Garth Brooks fans!